There's no better way to see Amsterdam's top sights than from its famous canals. Whether you do a sightseeing cruise, a dining excursion, or a boat trip that offers a bit of everything, traversing the city's waterways is a truly Dutch experience. Get a unique perspective of Amsterdam's top attractions on a comprehensive canal cruise. Cruise the capital city's historic waterways in a classic glass-enclosed canal boat. See famous sights including the Anne Frank House, Skinny Bridge (Magere Burg), Golden Bend (Gouden Bocht), and the old port. Enjoy views of the city's charming waterfront from the best vantage point—the water. Learn about what you're seeing from a tour guide or recorded audio commentary. Admiring the architectural marvels of Amsterdam on a canal tour enables you to see many of the city's best-loved sights by boat—which is how they are meant to be seen. Many sightseeing cruises are led by a professional guide who will describe in detail the history, culture, and lore of the city and sights as you float by. Couples looking for a little romance can take a moonlit turn around the canals while sampling a couple of cocktails or a multi-course dinner. Alternatively, a casual pizza cruise is a fun way for families with kids and groups of friends to enjoy a meal together while seeing Amsterdam from the water. Combine visits to multiple attractions by opting for a hop-on hop-off cruise, or a canal tour that includes entrance to a museum in addition to the boat ride. Find the perfect gin tonic to a bustling day of sightseeing in Amsterdam with this 2-hour nighttime cocktail cruise. Take in picturesque views as you glide along the UNESCO-listed canals, while savoring cocktails and tasty snacks. Hear light commentary along the way, listen to music and enjoy the lit-up waterfront views of Amsterdam. Experience a canal cruise and the treasures of Amsterdam’s Rijksmuseum in one day with this money-saving, combination ticket. Drink in the sights of Amsterdam’s UNESCO-protected canals on a 75-minute cruise, passing stately 17th-century townhouses, bridges, churches and tree-lined cobbled streets. Couple your cruise with skip-the-line access to the spectacular Rijksmuseum, a showcase of Dutch art and history from the Middle Ages to the present. Breeze past the main entrance lines and explore the collections as you wish, seeing masterpieces such as Rembrandt’s ‘Night Watch’ and fascinating exhibitions on Dutch history. With the hop-on hop-off Boat Day Pass, enjoy an easy overview of Amsterdam at a pace that suits you. Step aboard boats that operate along Amsterdam's canals and track the tour routes of the Green Line and Orange Line. While on board, listen to engaging commentary on the city and sights you see along the way. Choose between a 24- or 48-hour pass, and get on and off at 7 to 9 stops (depending on the season) as often as you like. Go for Amsterdam gold: an Amsterdam hop-on hop-off Boat Pass, plus entry to the Heineken Experience. 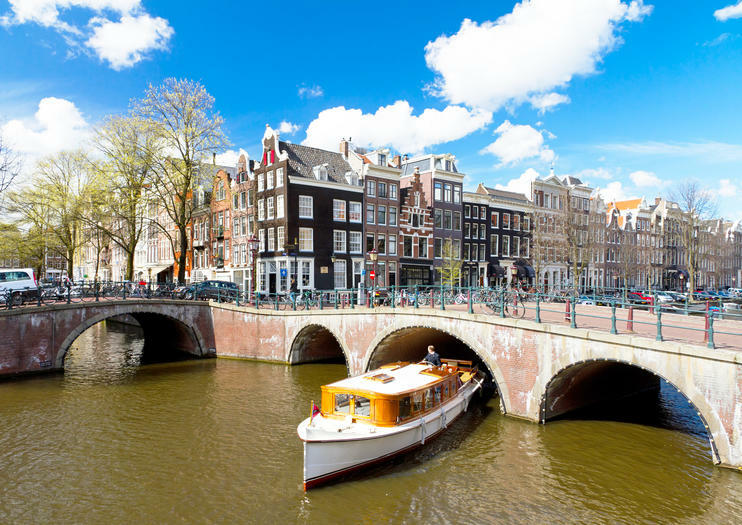 Cruise Amsterdam’s scenic waterways and hop on and off at any of the stops located near the city’s top attractions, including the Anne Frank House and the Rijksmuseum. During the Heineken Experience, discover the tradition behind one of the world's most famous breweries at a site that is part beer museum and part amusement park. From the peaceful atmosphere of a luxury, glass-enclosed boat, enjoy the highlights of Amsterdam along its UNESCO-listed canals during this 1-hour cruise. Hear narrated commentary on the sites along the way, including the Anne Frank House, the Golden Bend, the Reguliersgracht and the Skinny Bridge. With a variety of departure times available, this picturesque and comprehensive overview by water is easy to fit into your day of sightseeing. Enjoy a 1-hour ride on the exclusive TripAdvisor TripMaximizer Canal Cruise in Amsterdam. Discover the UNESCO World Heritage-listed canals of Amsterdam on the scenic TripAdvisor TripMaximizer sightseeing cruise. Travel in a luxury, glass-topped canal boat and enjoy pre-recorded commentary in 19 languages while admiring Amsterdam’s highlights. While cruising, enjoy some great photo opportunities of Amsterdam's historical spots such as the old city gates, bridges, churches, ancient merchant houses and towers. This is a perfect tour for first-time visitors! This exclusive canal cruise takes you past the city’s water-side highlights, all highly rated by the TripAdvisor global travel community.